Marriage is something that was ordained by God in the Garden of Eden between Adam and Eve. God’s instructions for man then and now was to leave his father’s house and to be joined to his wife. When God created the marriage in the Garden of Eden there was no other woman or man in the Garden except for Adam and Eve, but even then God instructed the man to cleave to his wife (the woman should do likewise). To cleave is to adhere, to stick fast, as by suction or glue, to carry something out without deviation. Marriages are broken because of selfishness between one or both parties. 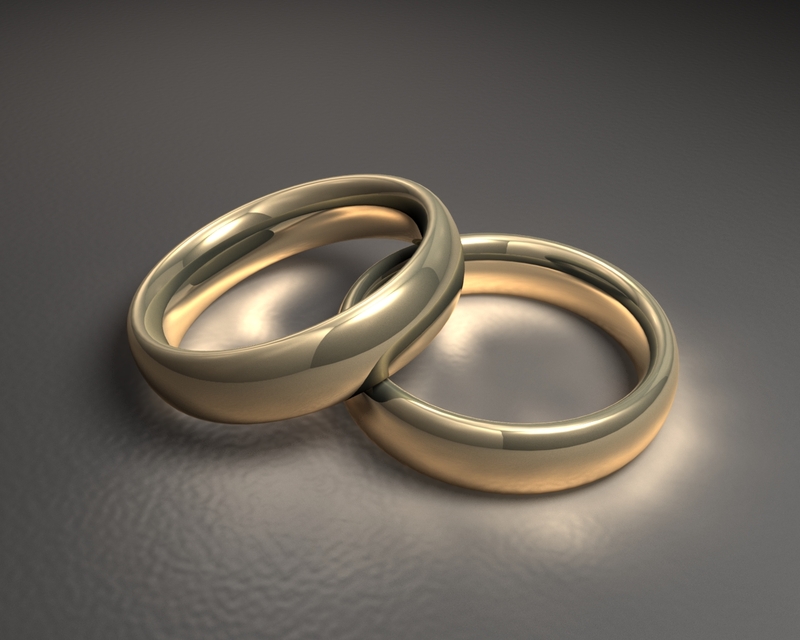 Marriages are no longer considered sacred by unbelievers as well as in the Christian Community. If anyone should be able to keep their marriages together it should be Christians. We serve a God who has instructed us, what is impossible with man is possible with God (But Jesus beheld them, and said unto them, With men this is impossible, but with God all things are possible – Matthew 19:26). Some would say this Scripture was just speaking about who can enter into heaven, but whatever comes against us that is too strong, too hard, impossible for us to handle. it’s a case for God to enter in. God knows your spouse better than you would ever know them because He’s the One that created them. If we spent time praying for our spouse and our marriages, we would give God the opportunity to arise and reign in our marriages. Jesus instructed His disciples then and now to pray. Prayer keeps us connected to the Godhead and when we’re connected to the Godhead, He places us in a secret place. He will allow us to see the enemy from afar. God has given men a mandate, The man is the authority figure in the home, the man is to be the priest of the home, the watchman, and if he’s doing what he has been mandated to do, Satan couldn’t come in and destroy the marriage the way he’s doing in the Christian arena. The husband should be the one to lead the family in prayer, the old saying “A family that prays together, stays together”. The Bible instructs one can chase a thousand (his enemy) and two can chase ten thousand to flight. A husband and wife should be a tag team on Satan, but rather than fighting Satan, husbands and wives are fighting against each other. Too many Christians are falling into sexual sins because they aren’t praying the way Jesus has instructed us, (And he spake a parable unto them to this end, that men ought always to pray, and not faint -Luke 18:1). Praying doesn’t stop Satan from trying to influence you, but prayer will keep you from falling into his influence (Watch ye and pray, lest ye enter into temptation. The spirit truly is ready, but the flesh is weak – Mark 14:38). The reason we aren’t conquering temptation is that we’re not spending quality time with God and with our spouse. God’s plan for marriage is one man for one woman for a lifetime.God’s pattern of marital happiness is evident when a man loves and leads his family to reverence and to love God. Marriage is work and it takes two people to build a marriage and keep it built on a solid foundation (prayer). Marriage is sacred to God, and this is why Satan has destroyed so many marriages by influencing one or both that someone else is better than what they already have. Couples can defeat what comes against their marriage if one or both will go to God for the sake of the marriage. Marriage is work and it takes a commitment that is why so many would rather have a mate they can have all the privileges of marriage but without the commitment. When things become shaky they can always leave. Playing house without the sacredness of marriage will not have the blessings of God. It is God that ordained marriage, and it is God that will help you keep your marriage. True love never dies, true love will make the commitment to stay together through the good times and the bad times, through sickness and in health. Invite God into your marriage, seek His counsels and follow His instructions.